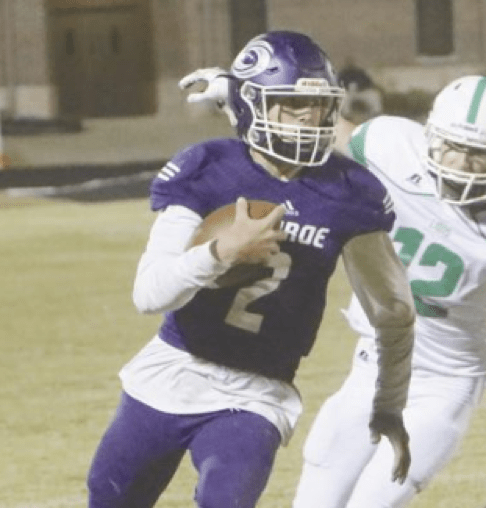 In a week 3 victory over Walnut Grove, Monroe Area Quarterback Chandler Byron rushed for 276 yards on only 18 carries. He logged lengthy touchdown runs of 54, 48, 34 and 23 yards. For the season, Byron has rushed for 931 yards (2nd in the state) and 11 touchdowns while also posting an additional 6 TDs through the air. Monroe Area is undefeated and ranked No. 3 in AAA.